Bayley is a 1st year Sports Management and Marketing student at Manchester Metropolitan University and, over the past year, has helped to deliver a number of major sporting events across Manchester! Despite being a 1st year student who is new to Manchester & the city life, he is an example of what you can achieve if you work hard! Since September 2015, I have been involved in two volunteering activities: The Manchester College Games, and Chapter One’s Street 2 Feet Homeless Tournament. 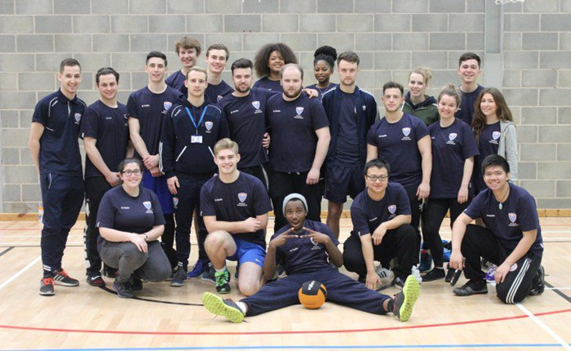 The Manchester College Games ran over the course of a day, and brought together many colleges in the area to take part in a tournament that covered various sports, ranging from football and basketball to Table Tennis and Badminton. The range of sports did therefore mean that it covered a wide range of people. Meanwhile, Chapter One’s Street 2 Feet Homeless Football Tournament essentially brought in lots of homeless people from around England to take part in a football tournament. As you can imagine, this is a great initiative and was therefore a great day for all. These two events were really something I seriously enjoyed taking part in, and despite the fact they were both quite challenging, not only in the preparation but also on the day, this definitely meant that I took something away from both of the events that will be very valuable to me. University work does help you grow as a person and gets you towards where you want to be, there is certainly no substitute for helping out with events that take place away from uni life. Taking part in these events allows you to take in a wide range of aspects about what life could be like when you stop being a student. Opportunities you have volunteered for do put you in a very good position when it comes to looking for placements and jobs, so the way I see it, why not?! 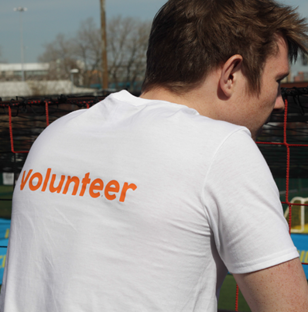 Volunteering through MMU gives you the chance to take on skills that will not only help you professionally; but that will help you as a person too. You learn to manage your time between volunteering and course work, and furthermore, as itis volunteering and you are not being paid to do. This means you are able to find other ways to stay motivated, that can only serve you well in the long term. Aside from these important aspects, it’s also helped my work ethic, increased my motivation in getting into the sports sector (as I have really enjoyed taking part in these volunteering events), and also encouraged me to take part in future sports volunteering events down the years. Has there been a standout event /moment from the year? For me personally, the standout moment of the year has to Edio’s rousing speech at the start of Chapter One’s Street 2 Feet Homeless Football Tournament. Filled with puns and jokes that suited everyone’s sense of humour, it was a moment that kicked off the event in style and therefore something I will not forget. Seriously go for it! There is absolutely no way it can have a ngative effect on you, whilst the positives you can take from it are endless, so why not? For example, if you aren’t enjoying your course and are struggling to find the motivation to do anything, even though the volunteering is slightly time consuming, it could well give you the motivation you need to get through your course and take to the profession you want. If in doubt, give it a go. 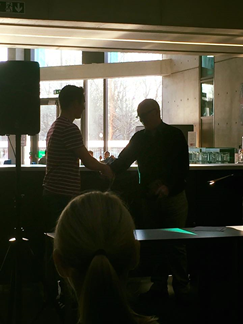 Coming runner-up in the “extra-mile” award is an achievement I am proud of and will remember for a long time. Winning awards isn’t my motivation to keep taking part in these events – but it is something extra that I will always hold in the back of my mind when volunteering in order to give me that little bit of determination to keep going.